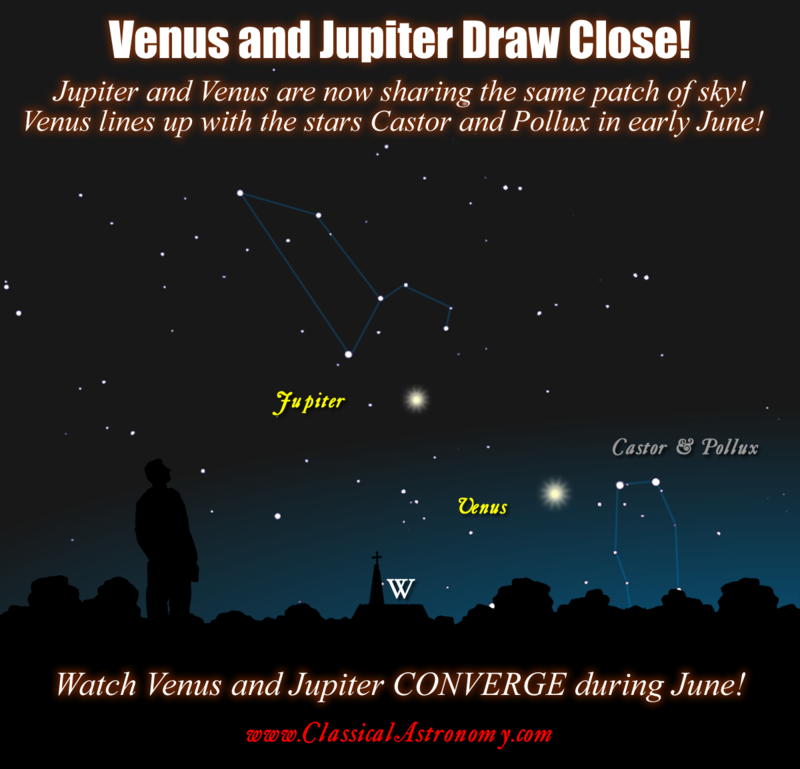 Home » Seeing the Planets » Alignments of the Planets » Venus and Jupiter Draw Close! JUPITER AND VENUS are drawing very close! These two will get closer and closer in the evening sky over the month of June. In early June, Venus will form a straight line with the bright “twin stars” Castor and Pollux in Gemini. After that, these stars will drop lower toward the sunset, away from Venus, as the Sun begins to move toward the constellation Gemini, where it will be on the summer solstice.